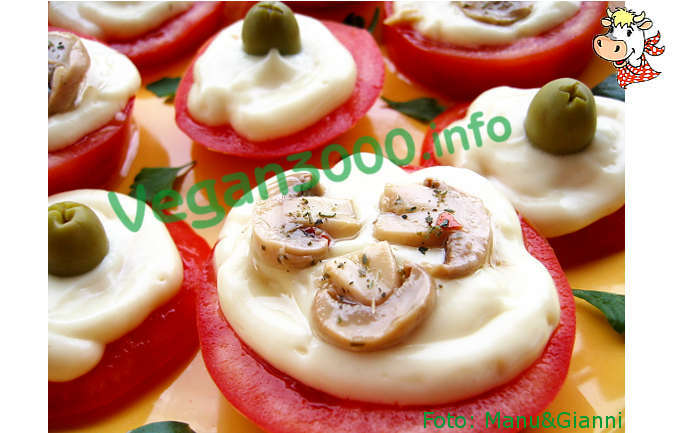 Wash the tomatoes and cut into slices about half a centimetre thick. Place them on a cutting board or on a platter and sprinkle with very little salt. Let them rest for at least 30 minutes (preferably also a couple hours), so as to let out the water which will produce and that you will remove. 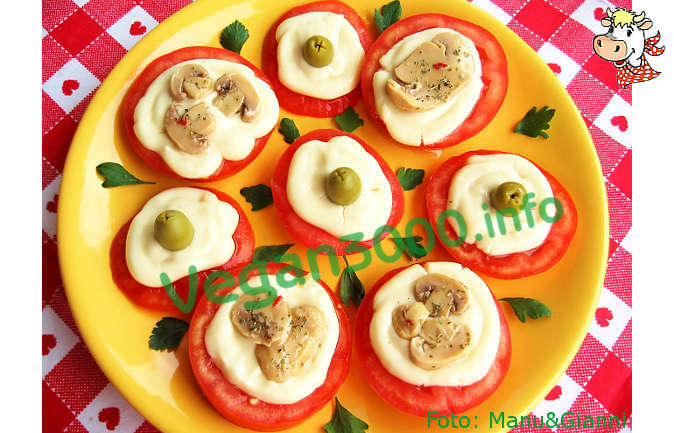 At this point you have "artistically" tomato slices (do not use the end caps because they present less well and are a little harsh) on a serving dish, putting on each a teaspoon soy mayonnaise and embellishing them in part with an olive and partly with a mushroom (alternating). You have got a starter stuzzicoso big realization.